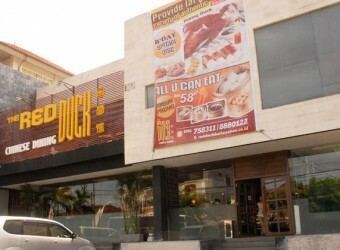 Bali Restaurant Red Duck is located in Tuban, Kuta near airport. They serve Chinese food and dim sum. The store is based on red and black color of a modern Chinese dining. Popular menu are roasted duck and varioties of dim sum. There are reasonable set menus. You can enjoy tasty Chinese dishes just after arrival and before departure.